Check out the artistic and culinary genius of our very own Frank Hobbs parents….a great way to celebrate all our amazing staff for all their work during the year. And of course, a huge thank you to all the parents who were able to contribute such delicious and most stunning creations – it was a shame to have to cut into that cake! Thank you for helping this year’s teacher meal another one to remember! A huge thank you to Tricia Schaddelee and a very generous team of over twenty parent volunteers for providing this year’s staff appreciation meal. This year’s meal was a double celebration, recognizing our wonderful Frank Hobbs staff and also marking Canada’s 150th birthday. What a fantastic way to say a special THANK YOU to our amazing Frank Hobbs staff team! The Frank Hobbs Staff extends our thanks for the lovely luncheon you treated us to. Your organizing, preparing, decorating and tidying up allowed us the rare opportunity for the entire staff to have the luxury to dine together, and that is so appreciated. The staff has shared with me how much they look forward to this day, and now after experiencing it personally, I can see why. We are fortunate at Frank Hobbs to have a dedicated and caring community of staff, students and parents. Thank you for taking the time out of your busy schedules to shower us with your warn-hearted generosity. Staff were delighted with the ‘summer picnic’ that was laid out for them to enjoy. 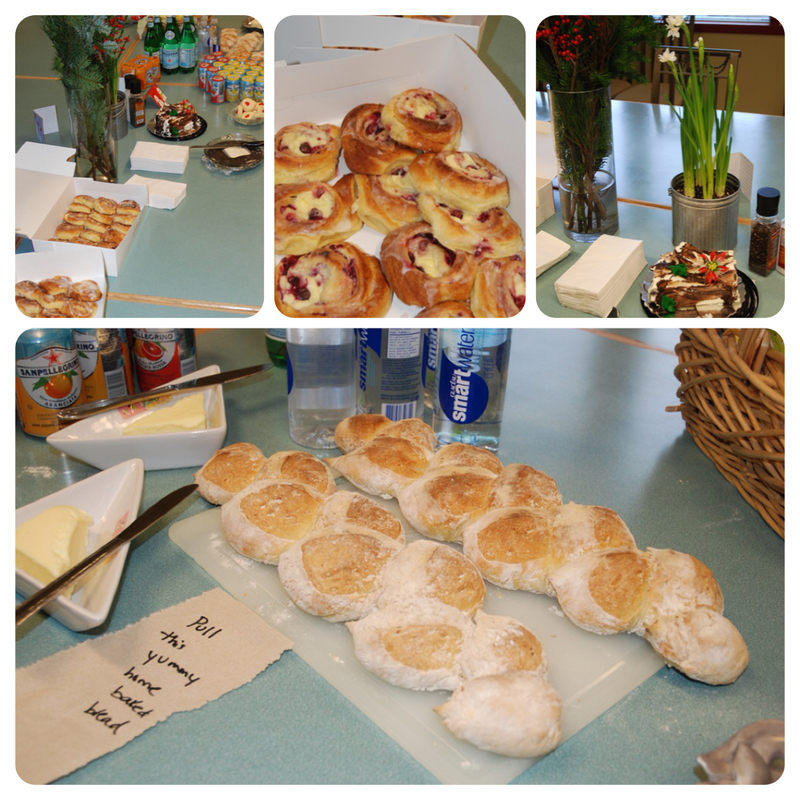 What an amazing spread of tasty treats – 100% created and donated, by some very generous Frank Hobbs families. A special thanks to Tricia Schaddelee for organizing and setting up this year’s luncheon, as well as over 30 amazing parents for making this event a possibility. A special thanks to Tricia Schaddelee for organizing this staff appreciation luncheon and of course our generous parents for enabling this to take place. With parents so busy in the lead up to school end and with all the preparations for the summer fair, we used the remaining PAC budget that had been allocated for staff appreciation meals and bought a catered lunch for our staff this June. Thanks to Matt at Minato Sushi and to Tricia Schaddelee’s Dutch Bakery for providing such tasty treats for our staff to enjoy. Here’s the feedback from our Principal, Mrs Cammy Coughlin. On behalf of the staff at Frank Hobbs, I would like to thank our parent community for providing the staff with a lovely lunch on Tues, May 26th. 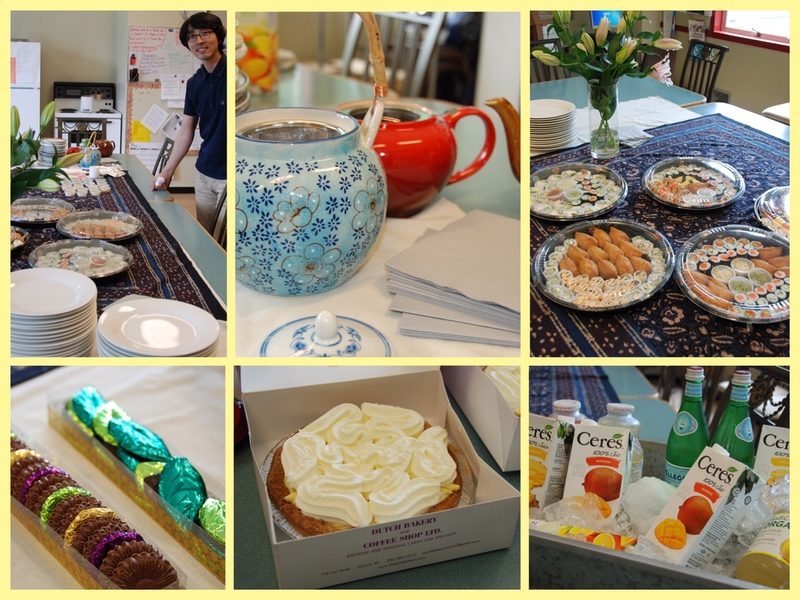 The staff very much enjoyed their Sushi lunch, refreshments, and amazing pies! During this very busy time of the year, it is wonderful to not have to prepare a lunch. It is always nice to connect with each other over good food in a spirit of gratitude. Thank you for spoiling us, and providing the school with so many opportunities to enhance the curriculum in the classrooms . We think the Frank Hobbs families are the best! To take some pressure off our busy parent volunteers (who already offered so much help with Winterfest – thank you! ), we made a decision to put on a staff appreciation ‘brunch’ this year. Pastries, home baked bread and a selection of cheeses were provided, along with a range of liquid refreshments. Our thanks to all our hard working staff at the school, teachers, Admin, custodians, classroom support…..it really does ‘take a community’ and we value all the little things (and big things!) you do to make our school learning environment so successful. A special thank you to all our amazing Frank Hobbs families and parent volunteers for giving support, providing treats and enabling this special event to take place at our school. We wish to give an extra mention to a couple of ‘mystery’ parents who contributed unexpected sweets for this year’s event – including cookies and a beautiful yuletide log….thank you for the delicious additions, and please know that all contributions were very much enjoyed! June 2014 – Teacher Appreciation ‘Grab and Go’! In light of the labor dispute in June 2014, we made a decision to demonstrate thanks by putting on a selection of baked goods and soft drinks instead of a formal luncheon. This was made available for staff to enjoy….to ‘grab and go’ outside and enjoy as they were able. Thank you to Tricia Schaddalee to organising this and for supplying the delicious baked goods from her family Dutch Bakery. 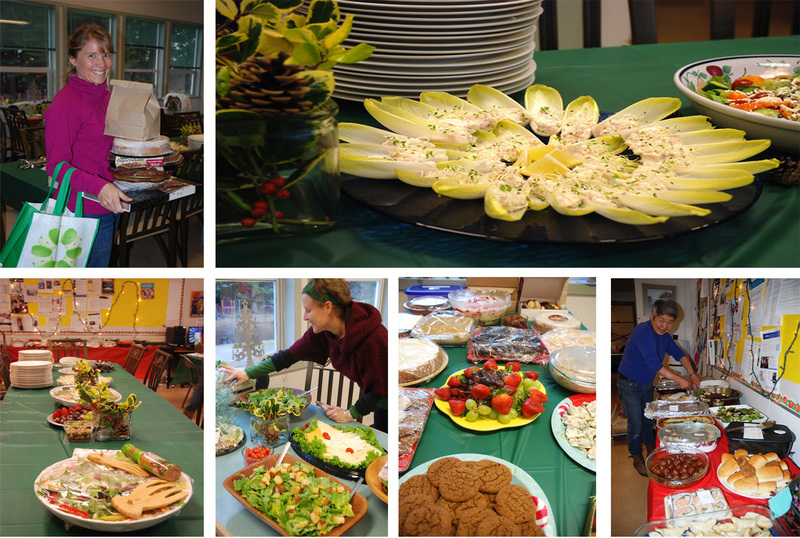 Thanks to our amazing volunteers, we were again able to provide an amazing Christmas lunch for the staff and teachers at the school. Thank you to everyone who contributed in putting on another delicious ‘spread’ – what a great way to show our appreciation! On behalf of the staff at Frank Hobbs, I would like to thank all of the parents who provided the delicious luncheon for us today. It is such a busy time of the year for everyone, and we very much appreciate the time you gave to us so we could relax and enjoy the lovely meal and festive ambiance! Tricia kindly donated a delicious Dutch bakery dessert and helped to succesfully co-ordinate the end of year Staff Appreciation Luncheon in June 2013. The wonderful lunch was decorated by Tara McHugh who provided some really beautiful bouquets to decorate the tables for this event. Thanks to the support of the PAC and our dedicated volunteers, the staff at Frank Hobbs are truly pampered!